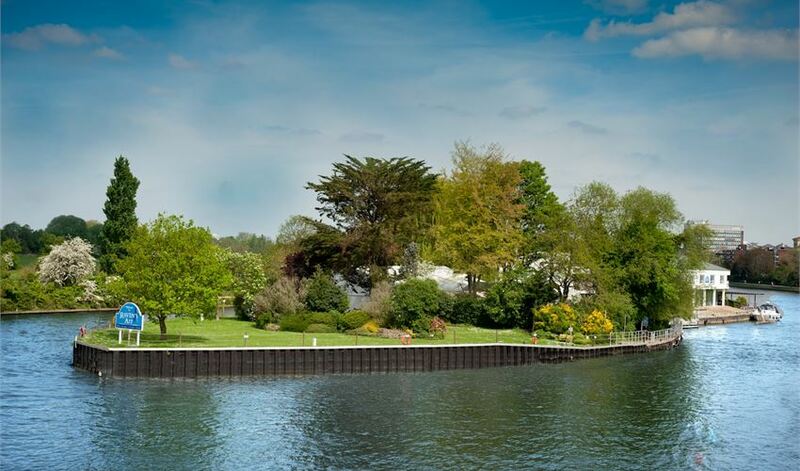 Ravens Ait is a private, secluded and surprising 2 acre island, nestled in the Thames and providing beautiful views over the gardens at Hampton Court Palace. Accessible only by boat (unless you want to swim, of course – something we really don’t recommend), your guests will be welcomed to the island by friendly, professional staff, and then be lead through into a startlingly spacious lobby area. This contemporary suite lends itself to any kind of event, and offers a blank canvas yet fully equipped space in which you can build your setting from scratch. The Marquee on the front lawn is particularly popular for wedding receptions, and can seat up to 250 for a wedding breakfast. 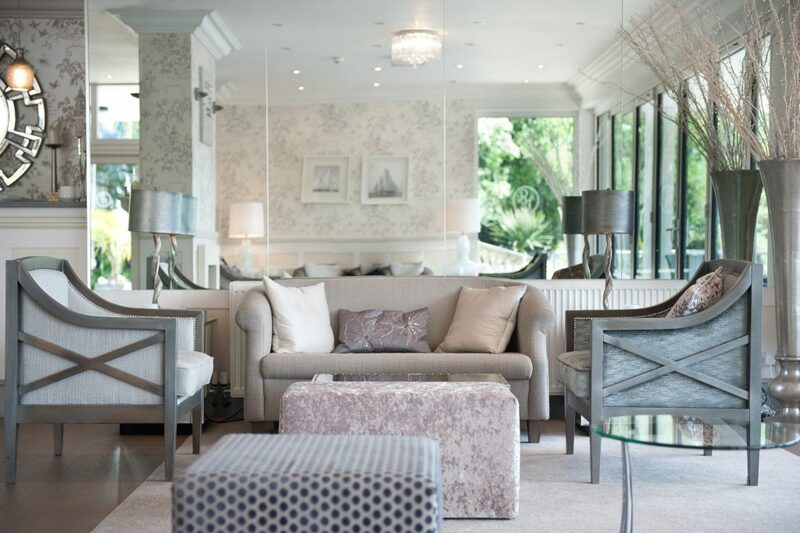 Direct access to the lawns that roll down to the riverbank means that your guests have a sense of freedom, and you have multiple options as to where to serve canapés and drinks after the I Do’s, which, by the way, can be said on-site as the Main House has a wedding and civil partnership license. We should also point out that the gardens here are incredibly well-kept, and safety has been at the forefront of the design – meaning little ones are always a safe distance from the river and protected by impenetrable fences. 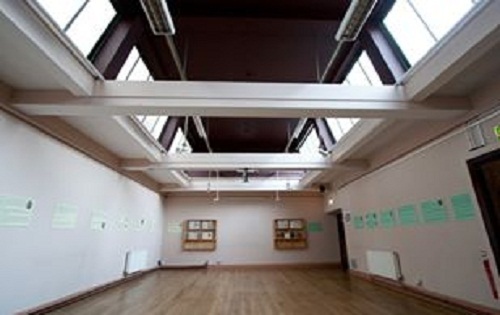 The Ballroom (also seating 250) is an ideal location for conferencing or indoor parties, and music can be played at full volume here until midnight – as it’s not like you have neighbours within earshot (or indeed sight) of your event! There’s also a bar here with a picturesque riverside patio that points West to make the most of the views of the setting sun. Each wedding is bespoke, and the events coordination team here really does adhere to your own personal requests. You can hire the entire island exclusively, or perhaps just the lawn and marquee, or even just the ceremony room for half a day before moving on to another venue. Corporate events are equally personalised, and the possibilities really are endless in this large and easily adaptable space. Neutral décor makes for easy branding, and if you’re looking for an ultra-private venue that guarantees maximum security, you have the ultimate press or prying eyes deterrent – a fast-flowing moat in the form of The Thames. 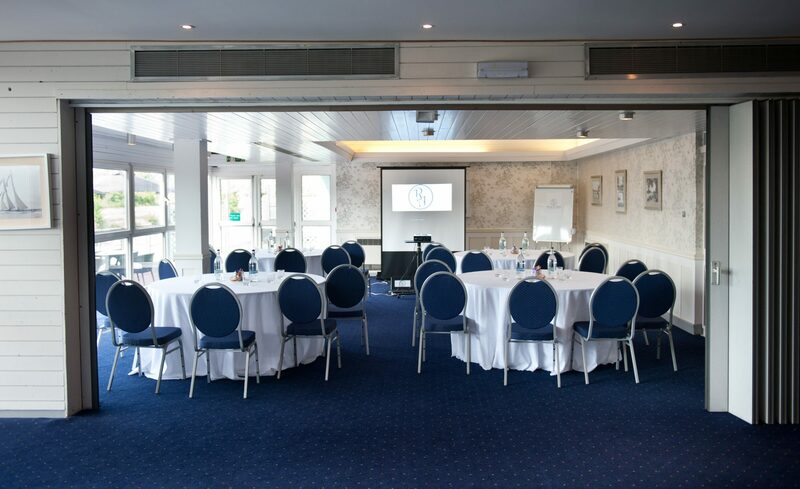 Up to 500 delegates can be accommodated here, and there are also some fantastic team building activities available – including pub games, sailing and arts & crafts, as well as wining and dining packages and evening entertainment. We at Best Venues London have fallen in love with this truly unique and highly unusual private island venue, and we’re pleased to say that it’s actually quite affordable – so call us now with your budget, numbers and the date you’d like to host your event, and we’ll get straight to work making sure that your booking at Raven Aits is unforgettable, magical and ultimately, delivers everything you want for your function.